Dermatologist-recommended and highly regarded by millions of consumers around the world, Neutrogena skin care offers a wide range of beautifying products. 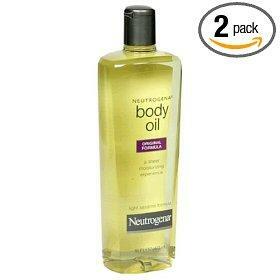 The Neutrogena skin care line, in particular, is renowned for many reasons. It offers a simple approach to healthy skin that makes choosing the right products uncomplicated and stress-free. When it comes to choosing the skin products that are right for you and your unique needs, you're likely to find something appropriate in Neutrogena's line of advanced skin care products. The vast collection includes everything from acne-controlling scrubs to anti-aging night creams. The following is a detailed rundown of the Neutrogena skin care system. Neutrogena's acne-fighting collection is comprised of moisturizers, advanced treatments and nearly 20 different facial scrubs and cleansers. Healthy Skin Anti-Wrinkle Anti-Blemish Cleanser: An anti-aging and acne-fighting treatment in one, this creamy cleanser contains salicylic acid, which treats blemishes and penetrates the pores, and alpha-hydroxy acid, which smoothes fine lines and wrinkles. Oil-Free Acne Wash Cleansing Cloths: A product that makes cleansing quick and convenient is always a welcome addition to any beauty regimen. These cloths gently exfoliate to remove dead skin cells while preventing future breakouts. Oil-Free Acne Stress Control Power-Foam Wash: Acne-prone skin types often experience irritation and sensitivity. This unique cleanser delivers medication to affected areas, unclogs pores and calms redness and inflammation with ingredients like green tea and cucumber. Oil-Free Anti-Acne Moisturizer: Water-based and exceptionally light, this lotion prevents clogged pores and soothes with gentle aloe and chamomile extracts. Rapid Clear Acne-Defense Face Lotion: Stubborn acne demands a strong, unrelenting skin care regimen. This powerful lotion packs a punch: it fights breakouts, prevents future blemishes, reduces peeling, unblocks dirt and gently exfoliates to sweep away dead skin cells. Add one of these targeted products to your anti-acne regimen. There's something for almost every concern, from blackheads to dark spots. Advanced Solutions Acne Mark Fading Peel: If you're familiar with acne, you probably know a thing or two about unwanted marks, too. This treatment works to eliminate post-acne marks while preventing future breakouts. Blackhead Eliminating Treatment Mask: This cooling mask is designed to nip those pesky blackheads in the bud. It contains salicylic acid and glycolic acid to remove dirt, oil and dead skin cells. The anti-aging skin care industry is positively booming right now. Medical advancements and scientific breakthroughs contribute greatly to the growing phenomenon of skin products designed to slow the aging process and conceal existing lines. Neutrogena's collection includes cleansers, specialty treatments and over 20 different moisturizers. Fight blemishes and wrinkles with these products, which contain salicylic acid and alpha hydroxy acid. Keeping facial skin supple and well-hydrated is crucial in preventing lines. Neutrogena offers a complex collection of facial moisturizers; each product is formulated for a specific skin type. Visibly Firm Eye Cream: The delicate eye area requires a gentle moisturizer. This unique formula contains copper, which is known for its firming qualities and ability to improve the skin's elasticity. Healthy Skin Face Lotion for Sensitive Skin: This vitamin- and antioxidant-rich lotion is ideal for those with skin that irritates easily. It is appropriate to wear underneath makeup and before bed. Give yourself a spa-worthy treatment in the comfort of your own home with one of these pampering products. Advanced Solutions At Home MicroDermabrasion System: Achieve clear, radiant, rejuvenated skin with regular use of this treatment, which includes an aluminum oxide-rich cream formulated to encourage renewal of surface cells. Those with sensitive skin should consult with a dermatologist before using microdermabrasion treatments. Healthy Skin Anti-Wrinkle Intensive Serum: This highly concentrated serum penetrates the skin, filling in fine lines and wrinkles as it smoothes over time. Advanced Solutions: Acne therapy and complex anti-aging treatments. Deep Clean: Invigorating cleansers for daily use. Healthy Defense: SPF-rich facial and eye moisturizers. Healthy Skin: Products designed to improve the skin's texture and appearance. PureGlow: Dual-textured cushions to exfoliate and cleanse the skin. Rapid Clear: Complex acne treatment system. Visibly Even: Soy- and retinol-enhanced products to renew and radiate the skin. Visibly Firm: Copper-enhanced products designed to prevent fine lines.